As an event planner/meeting planner, you want your event to be successful. After all, planning the date, the menu, and the room, you need a speaker you can rely upon to deliver a message that is appropriate for the audience. This is certainly something you don’t want to leave to chance. Interview: Your reputation is on the line and nothing could be worse than hiring a speaker who does not fit your audience or is knowledgeable about your client. Make sure you talk to the speaker and not just his representative prior to committing. Be clear about your objectives. Traits: A public speaker should be passionate, have an expertise, and long experience with his topic. You should expect a professional to be consistent, on message, appropriately dressed, and able to cope with a variety of last-minute changes and situations. Prior Speeches: Ensure he has a full body of work. Look at his message style. His message shouldn’t be preachy or dull. He should have a YouTube channel. View his videos before making a decision or better yet, go see him speak in person. Message: Make sure his message resonates with your audience. If you are hiring a speaker for your company, his message should reflect the values you are looking to achieve. References: Good public speakers will have references and will happily share them. Don’t be afraid to call a few of them for feedback. Demographics: Consider your audience. Will his message appeal to a general audience or will it be very specific? A powerful speaker for a group of mature women may not appeal to a group of millennials. 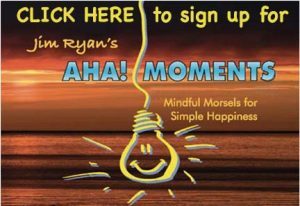 Jim Ryan has been called upon by meeting planners, companies, non-profit organizations, and professional associations to deliver an uplifting message that can make a difference. A difference that can ensure that your event will be memorable. See what enthusiastic audience members have to say about Jim Ryan’s presentation. Very inspirational! Very encouraging! Jim made me smile throughout. – Pat B.